As professional HVAC contractors, we will always believe that your air conditioning system is one of the most important systems in your house. In addition to providing general comfort, it also prevents the risks from living in a hot house. However, we’re all too familiar with how expensive it can be to maintain your AC system. While air conditioning is a fine luxury, we’re sympathetic to the costs that it can incur. One of the simplest solutions to the problem is avoiding it altogether by relying on other cooling methods, such as fans. Fans don’t actually decrease the temperature of a room, but circulated air has a cooling effect on the body. On average, a fan uses one tenth of the energy of your air conditioning and can do just as good of a job depending on the room and placement. This is also a great choice if you’re in need of air conditioning repair, in which case you shouldn’t hesitate to call Benjamin Brothers to service your HVAC! Did you know that you can be wasting money simply because your thermostat isn’t in the right place? Your thermostat uses the temperature of your home to inform the AC how much it needs to run. As it turns out, a thermostat in an area with temperature fluctuations or abnormalities (such as near a hot window) can give inaccurate readings, pushing your air conditioning into working overtime. It’s best to be economical in the way that you set your thermostat. One habit that leads to higher bills is the tendency to turn the temperature extremely low when you get home. Many people do this when they walk into a hot home, with the belief that the AC will start working faster if it’s set to a more extreme temperature. Unfortunately, this is completely untrue, and it often leads people to forget that they even set it so low in the first place. In reality, your AC will take the same amount of time to reach a given temperature, no matter what the target temperature is set to. Do yourself a favor and set it to a realistic number. One of the best ways to save money in the long-term is to spend some in the short-term. Take it from us — Benjamin Brothers has performed air conditioning replacement and installation to more people than we can count. New units are more efficient and effective than old ones, and will often chop a sizable chunk off your energy bill. Yes, a new AC system will cost you up-front, but with a lifespan of up to 15 years or more, you won’t regret your purchase in the long run. At Benjamin Brothers, we offer high-quality air conditioner installation and repair services to the people of the Hillsborough, Pascal, Hernando, and Pinellas counties. 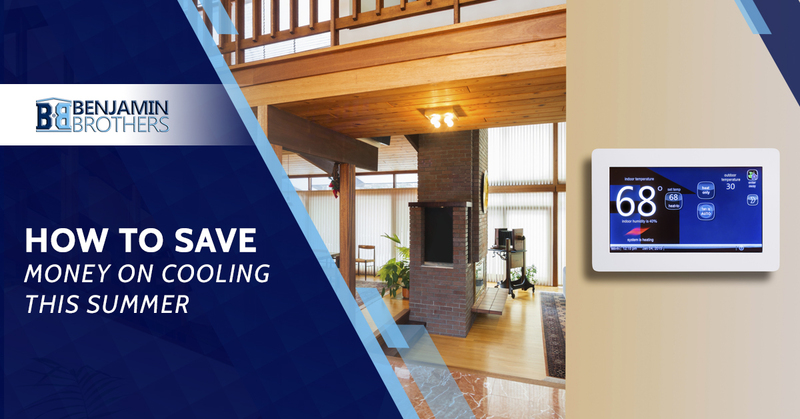 Contact us today if you’re looking to save money on your cooling this summer!